Genau auf den Tag vor einem Jahr, also am 5. 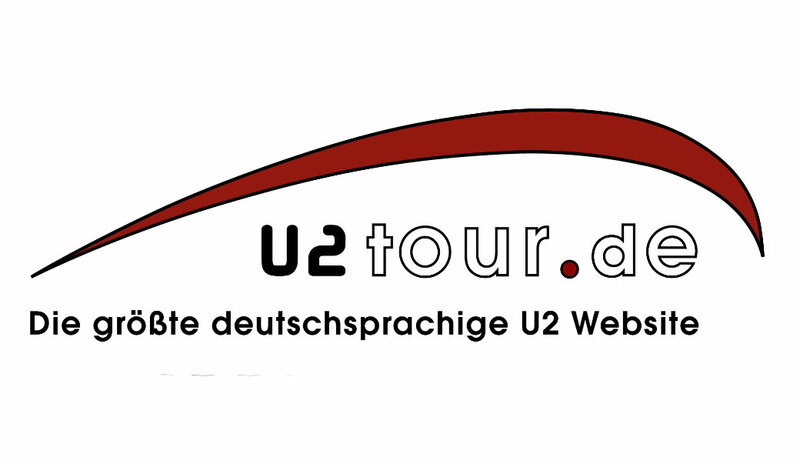 Juli 2005, bekamen unsere Freunde aus Polen das, worauf sie seit der Popmart-Tour 1997 gewartet haben - ein U2-Konzert. Die Show fand im Slaski Stadion in Chorzow (bei Kattowice) statt (Seite zur Show im U2tour.de-Tourarchiv) (Transkript der Show) und war für das Land und auch die Band eine der ganz besonderes. Maßgeblichen Anteil hatte daran auch die Choreographie der polnischen Fans. 50 000 Menschen verwandelten das Stadion während New Year's Day in eine riesige weiß-rote Flagge (wir berichten am 6.Juli 2005). Unser Freund Zbych hat aus Anlaß des Jahrestages dieser Show noch einmal die komplette Geschichte der legendären Flagge zusammengefasst. U2 - The Story Of The Flag! by Zbych One year ago today, history was made! On the 5th of July 2005 at the Slaski Stadium in Chorzow, U2 played their only second ever concert in Poland to the 70’000 excited fans. Never mind the heavy rain, minutes before the showtime, what happened when The Edge hit the first notes of New Year’s Day meant that not only "The sky fell in Poland”. The Audience stunt - the "White and Red campaign” caused lots of mouths to fall open, including the Band’s and Willie Williams’ himself. Here is the story …. The Story Of The Flag. ON A NEW YEAR’s DAY New Year’s Day, together with Sunday Bloody Sunday, the most crucial anthem from U2’s 1983 "War” album, was written in late 1982, with - at the time imprisoned leader of the Polish anti-communist "Solidarnosc” movement, Lech Walesa – in mind. Though not so obvious when looking at the album version lyrics, the Walesa connection becomes clear in the "US mix” version with altered lyrics: "Stone cold night On a cold stone floor A cross of light On a prison door” Most of you may not know that between the 13th of December 1981 and 31st December 1982 Poland was under matrial law (Info bei wikipedia). Would you be surprised to know that it was suspended exactly "On a New Year’s Day”? And half a year later totally lifted. BEGIN AGAIN When U2 played Chicago (a city with the biggest population of Polish emigrants in the world) in April 1987, Bono dedicated New Year’s Day to "Lech Walesa and Solidarity people of Poland”. On the New Year’s Eve 1989 as U2 was celebrating the decade in Dublin, by sending the waves of joy via a radio broadcast all over Europe, Poland together with other East European countries was "beginning again”. After the revolution - in Bono’s way - without any bloodshed, the communists were forced to go away. According to Pimm’s "U2 Live book” - U2 planned to play in the free Poland in the summer of 1992. The famous shipyard in Danzig, the place were Lech Walesa and Solidarity movement started their campaign, was considered for a Zoo TV gig, but sadly the plans never materialized. But in 1997 when U2 finally played to a massive crowd in the capital of Poland, Warsaw, Bono introduced New Year’s Day as being "written for us”. During that song, the giant Pop-Mart screen used to go blank, so that emotions and music could speak for themselves, but not that time. Bono forced Willie Williams to display historical pictures of L.Walesa and Solidarity anti-communist demonstrations on the screen. As you might have expected - the crowd went absolutely mad. ( Photo 1) W.Williams recalled that moment in his Tour Diary in 1997, as well as in "The Full Willie” interview for @u2 in 2002 – and named it - one of the stand out moments in U2’s live career. WHY NOT IN POLAND You can imagine how badly Polish fans felt when in 2001 Poland was missing from U2's Elevation Tour itinerary. Myself being enormously lucky to obtain tickets for the Cologne shows, I wanted to display that national disappointment to U2. On the 10th of July 2001 (remember that date), minutes before my departure to Germany, I decided to paint a "WHY NOT IN POLAND" sentence on my Polish flag. As they say nothing happens by chance... On that unforgettable night in Cologne on 12th of July 2001, a last minute change in the setlist meant that U2 played New Year's Day (instead of the planned Discotheque). ( Photo 2 - Setliste Köln 12.07.2001) My flag right there, at the right side of the heart-shaped catwalk, was spotted by Bono during Edge's piano-guitar solo. The singer took it from me and proudly stood with it for a moment... all during New Year's Day, the only Polish song of all U2 songs. The flag became a national treasure and pride. The question was… did Bono get the message? ( Photo 3) In case of the opposite - the picture of Bono holding the WHY NOT IN POLAND flag was personally delivered to the Dublin HQ of U2’s Principle Management, together with a petition undersigned by 5000+ Polish fans to bring U2 back to Poland. Hard to say if that made the 5th of July 2005 happen, but - U2 returned to Poland during the Vertigo Tour. DIVINE IDEA One fine day in April 2005 while I was watching a TV-documentary about the late John Paul II (the only ever Pope from Poland, whom Bono mistakenly named "an Italian”), I was amazed by the visual effect of people waving their yellow scarves to celebrate the Pope’s arrivals. I thought it would look amazing if we could do something like that at the upcoming U2 show. So, kind of divinely inspired, I started the "White and Red” campaign. (bare in mind – as crazy about U2 as I am, I was far from wanting to compare them to the Pope, or treating them like one. I was just interested in the visual effect, and the goal of making the Polish gig a stand-out in an often boring tour routine). The principles were very simple – let the field be Red, and the grandstands White – this way from the stage it would look like a massive Polish flag (white and red), the obvious choice was to do it during New Year’s Day – the most Polish U2 song. Little by little the "White And Red campaign" started to make headlines. Of course with the help of the Internet, the campaign was picked up by many fans who started to lobby media so that everyone going to the show (not only Polish fans) knew when and what to do. On the day of the U2 show, even the Polish national TV was encouraging fans to take white and red stuff with them to the Slaski Stadium. The rest, as they say, is history... CROWD IN RED AND WHITE On the 5th of July 2005 - the "Sky fell in Poland” soaking up all fans, but it still turned out to be the most beautiful day for the most of us. Few songs into the show, just seconds after The Edge hit the piano notes of New Year’s Day, the stadium was White and Red... Emotions, smiles and tears were flowing all over the place. ( Photo 4, Photo 5, Photo 6) Bono was so touched, that he spontaneously flipped his jacket inside out to show the red lining and to unite with the audience (what later on the 4th Leg of Vertigo tour became a part of the show, was obviously inspired by what happened at the Polish concert). Smiles of disbelief exchanged between Edge and Larry, Bono holding his heart and doing a double "thank you” bow - it was all much much more than I ever expected. I was in tears… just like many of those AMAZING 70’000 crazy fans. Later on Willie Williams couldn't hide his emotions too, writing in his diary – "I have never seen an audience do anything like it before – getting it together to surprise and delight us. I think my mouth must have fallen open. Who organized this? The fact that it was premeditated made it all the more extraordinary; an audience consciously plotting to put on a show for the performers. It was absolutely wonderful, humbling, thrilling all at the same time. A great, great crowd, and a unique atmosphere”. I only wish that Bruce "The Light Master” gave us the full house lights for those few minutes… The fact that Bono picked a Solidarity flag after "Where The Streets Have No Name” ( Photo 7) went almost unnoticed, but it was also a great way to honor the movement which was celebrating it’s 25th anniversary in 2005. (at some point U2 were again rumored to play in the shipyard in Danzig at the celebrations, but in the end Jean Michael Jarre took the honor). VIVA POLAND The Flag now became something more transcendental. Two days later when U2 played in Berlin, so close to the Polish border, just as they started New Year's Day - a sea of Polish flags showed up under the stage at the Olympia Stadium. Bono, still impressed with the "White and Red” campaign - shouted "VIVA POLAND! ", and during the song’s piano-guitar solo, he again picked up the SOLIDARITY flag (the same one he picked during "Streets” 2 days earlier in Chorzow) and placed it safely on Edge's monitor for all fans to see. I couldn't believe my ears when Bono, after placing the Solidarity flag - shouted "We have friends from Poland"! just before the famous clapping part. Vertigo Tour was starting to be really special for Poland! WORLD IN WHITE AND RED Two days later, at the first Paris gig on the 9th of July 2005, as a group of Polish fans stood at the main stage with Polish flags during New Year's Day, Bono touched his heart and pointed at the now famous red lining of his jacket. Again showing an enormous respect for the Polish fans… For a moment I will now break the chronology of the events. Polish accents on the Vertigo Tour continued. On The 15th of July in Amsterdam while picking up a Polish flag during New Year's Day, Bono surprisingly changed the lyrics to "The crowd has gathered in Red and White" again remembering the Chorzow show. Few days later, as the cameras were rolling in Milan, on the 21st of July - again during New Year’s Day - a Polish flag was laid on the stage (clearly to see at "The End” of the Vertigo clip on the U2 Communication CD). Hopefully the whole Polish flag moment was recorded and will see the light of day sometime in the future on the Dvd. On the 5th of August 2005 in Nice, unbelievably, another Polish flag took the stage yet again, of course - during New Year’s Day. Before we end this story, there is still one more emotional chapter to it… (coming back to Paris). IN RETURN FOR GRACE The story of the "Why not in Poland” flag came to a full circle in Paris, on the 10th of July 2005, to the day, exactly 4 years after it was painted by me (I told you to remember the date), with one amazing U2 concert in Poland more, and some unbelievable memories, the fate wanted that flag to go away. I was there with my friends, at the right side of the main stage at Stade de France, proudly holding it up during New Year's Day. By that time Bono got used to seeing White and Red and we could see he was looking for it - when he found us - he had a huge smile on his face (as if he was thinking – "Oh God, it’s them again!”). Just as the song was coming to an end, Bono came up to us and urged to give him the flag. I will never ever forget those emotions, 4 years after its inception, the flag went to Bono again. The singer put it on the stage, on Adam's monitor with the POLAND part proudly presented to the packed Stade de France. Few seconds later, during Beautiful Day, Bono returned to us. He crouched, touched the flag and sang "lend a hand... in return for grace". Had it not been recorded, I would not believe it ever happened. Bono was reaching a hand to us – "in return for grace”, maybe I'm reading too much into it, but what a way to say thank you for the "White And Red” campaign and the whole emotional show in Chorzow. ( Photo 8, Photo 9) THE FLAG THIEF What a truly beautiful day would it have been... hadn’t it been for Mr. Stuart Morgan. As you can imagine, Adam's monitor was producing some vibrations and at the end of "I Still Haven't” the flag slipped on the floor of the stage. Mr. Morgan (Adam’s technician) came and duly took the flag backstage. After the show he said "no” to my desperate shouts to give it back (I lost my voice for 3 days in effect). The legend was sadly gone. As naive as it may seem, I like to think that the Band wanted to keep the flag... no matter what happened with it - the legend will live forever. As I wrote earlier, the Flag was no longer a piece of fabric, it will be remembered as an idea which united 70’000 people. For that brief moment we were all ONE! This is were "The Story Of The Flag” ends….. one fine day, I will find out, where you park your car, Mr.Morgan! ;) ZBYCH – The Godfather of the Flag (contact: zbyszard1 at o2.pl) POST MORTEM You can now experience all those "White and Red” emotions by watching the most ambitious fan-made concert dvd ever - titled "U2 - Sky Falls In Poland – Chorzow”. After much effort from Polish fans, with help from the Czech Republic, Russia, and Hungary the astonishing 19cam mix (14 video, 5 quality digi-cams) with English & Polish subtitles was put together by an incredibly talented Polish student, Bartek Bugajski. The history you just read above is also on the DVD as a bonus feature in a short "The Story Of The Flag” documentary done by myself.. You can see it here at youtube (http://www.youtube.com/watch?v=Nq-Aiz-G4Iw)in a lesser quality. This video project was done by fans for fans, for FREE trading and sharing. Thanks to everyone who helped on the way, too many to mention! You are all the best in the world… thank you and U2. In unserer neuen Rubrik Beyond The Edge veröffentlichen wir Beiträge, die über den reinen U2-News-Horizont hinausgehen. In loser Folge verfassen Mitarbeiter und Freunde von U2tour.de ihre Gedanken in Form einer Kolumne. Die Kommentare sind natürlich sehr subjektiv und persönlich und müssen sich nicht mit der Meinung von U2tour.de decken. Vielmehr sollen sie zum Nachdenken anregen.